Addressing the Shortage of Child Psychiatrists—It Doesn’t Take Rocket Science, Phone Call Support Will Do It! 3 Comments on Addressing the Shortage of Child Psychiatrists—It Doesn’t Take Rocket Science, Phone Call Support Will Do It! The numbers aren’t good. Approximately, 16-20 percent of the nation’s children and adolescents have some kind of behavioral disturbance, with 4-7 percent suffering from significant functional impairment, according to the American Academy of Child & Adolescent Psychiatry. That translates to about 15 million youths who need specialty psychiatry. 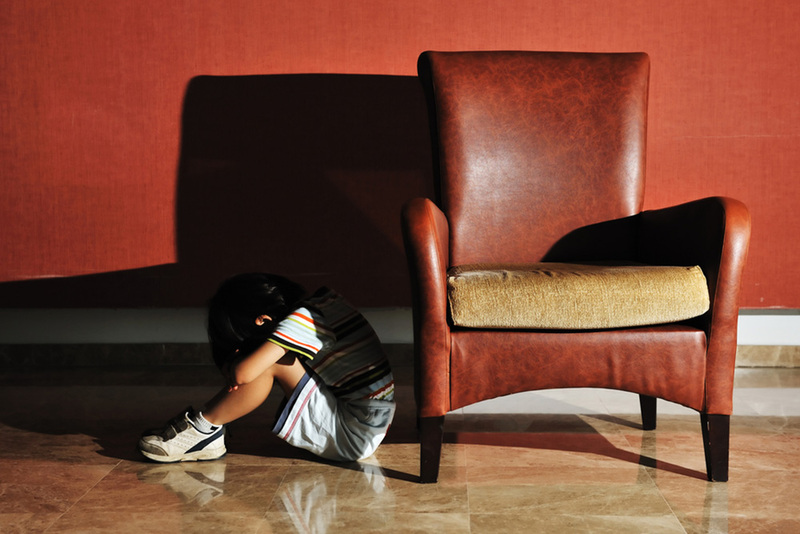 However, there are only 8,300 practicing child and adolescent psychiatrists. If every youth needing treatment was seen by one, that would be more than 1,800 patients per practitioner – an undoable ratio! However, this problem is not new, and with some creativity and practicality, phone consultation projects have been developed to address it. To get an understanding of just how they work, consider the story of Johnny Marks (a fictional case based on actual experiences that play out daily in pediatricians’ offices throughout Connecticut). Twelve-year-old Johnny is brought by his mother to see the pediatrician because he hasn’t been feeling well for two days and has missed school. Marks felt her son’s complaints were vague but reported that he hadn’t been his typical self since shortly after the start of the school year. He complained of headache and bellyache, but denied diarrhea, constipation, fever or chills. He had low energy, but not significantly lower than the past couple of months, according to his mother. Vitals were normal; neurologic and abdominal exams were normal. However, with the recent implementation of ACCESS MH-CT, Dr. Brown knows that he can call for a doctor-to-doctor psychiatry consult to inform a treatment plan for those patients he’s not comfortable treating on his own. When the pediatrician asked, “How are things going?” and “Who are you hanging out with this year?” the cause of Johnny’s troubles began unfolding. He had been suffering from increasing anxiety and depression. . .
Years ago, Dr. Brown, Johnny’s pediatrician, might not have asked so many mental health questions. However, with the recent implementation of ACCESS MH-CT, Dr. Brown knows that he can call for a doctor-to-doctor psychiatry consult to inform a treatment plan for those patients he’s not comfortable treating on his own. During this particular visit, Dr. Brown had used the PHQ-9 and the SCARED, two behavioral health screening instruments that can be filled out and scored quickly. He had also talked with Mrs. Marks about family history. With that information, he felt comfortable about the issues. Dr. Brown called the consulting psychiatrist and reviewed Johnny’s information asking about possible treatments. Luckily for Johnny, he lives in Connecticut, one of the 30 states that now has a child psychiatry consultation program. While programs differ across the country and not all offer access to a state’s entire population of pediatricians, Beacon Health Options manages two of the 13 statewide programs that do. ACCESS MH-CT is funded by the Department of Children and Families, and Beacon manages the three hubs staffed by Hartford Hospital, Yale Child Study Center and Wheeler Clinic. In the first year, nearly 80 percent of practices had enrolled, with 1,234 youth served. The program allows PCPs to call the hub with additional questions after the initial consultation; hub staff can help with care coordination, peer support, brief therapy, and a one-time direct psychiatry evaluation. All of these activities totaled to 5,133 in the first year. These types of programs are successfully addressing the ongoing shortage of child psychiatrists. Due to the lengthy training and few people trying to become trained in this area, the shortage is expected to continue. Compounding the problem, more youth are being identified at younger ages as having significant mental illness. Researchers supported by the National Institute of Mental Health found that half of all chronic cases of mental illness begin by age 14. And, recent estimates suggest that up to 74 percent of youth with a mental illness go without treatment. In the first year, nearly 80 percent of practices had enrolled, with 1,234 youth served. These types of programs are successfully addressing the ongoing shortage of child psychiatrists.
. . . Johnny is one of the lucky ones who will receive the early interventions so critical to effective treatment. The psychiatrist talked with Dr. Brown and the family about how Johnny would benefit from talk therapy, such as cognitive behavioral therapy (CBT), and the hub team care coordinator followed up with referrals for CBT. After hearing about family history, the psychiatrist learned there had been success with one SSRI in particular, and appropriate doses were discussed. Finally, to ensure care continuity, the plan is for a peer to stay in touch with the family. All of this achieved in one visit! Therein lies the hidden value. No need to wait to start treatment. The pediatrician has direct ACCESS to local teams who know the network of referrals, which means Johnny can be referred to a CBT provider with openings, bypassing what might have been a several-month wait to see a child psychiatrist. The clear value is patient satisfaction resulting from an immediate treatment plan – with the trusted pediatrician at its center. This kind of service is fabulous and usually under-utilized. Two easy but unaffordable ways to improve it: creating an in-person relationship between consulting psychiatrists and pediatricians will increase utilization; funding the extra costs of on-site behavioral health screening, brief consultation, and self-referral to longer term off-site treatment with collaboration between BHPs, pediatricians, and psychiatrists can achieve some of the benefits of IMPACT, some of integration/collaborative care, some of adequate management of mental health conditions. Thank you for reading and for your comments. We have made considerable effort at creating an in-person relationship between the consulting psychiatrists and primary care providers in that every practice met with their Hub psychiatrist before signing up for the program. Regarding the behavioral health screening, we have made significant progress in CT with Medicaid announcing coverage for the screening within the past year. Also, referrals to longer term off-site treatment are frequently made–in this example the youth was referred to CBT in the community. Thanks again for highlighting these important aspects of the program. Earlier this year, seeking to curb military suicides, Congress enacted a bill offering financial incentives to psychiatrists who agree to work for the VA. Broader bipartisan bills have recently been introduced in each chamber of Congress seeking to address the psychiatrist shortage as part of an overall strengthening of mental health care.